If you followed and finished our previous tutorial on how to set up Nextcloud on Ubuntu 16.04 VPS or dedicated server, then you might wonder “How can I access Nextcloud files from my Ubuntu/Linux computer?” Nextcloud team released a Linux client but it’s a source package. If you don’t want to manually compile Nextcloud Linux client, then you can use WebDAV instead. WebDAV (Web-based Distributed Authoring and Versioning) is an extension of the HTTP protocol. Using WebDAV, your Nextcloud will be mounted on your Linux desktop as if it’s a network drive. It won’t take any space on your local hard drive. The Nautilus file manager integrated a WebDAV client in itself. To access your Nextcloud files from Nautilus, go to File > Connect to Server. 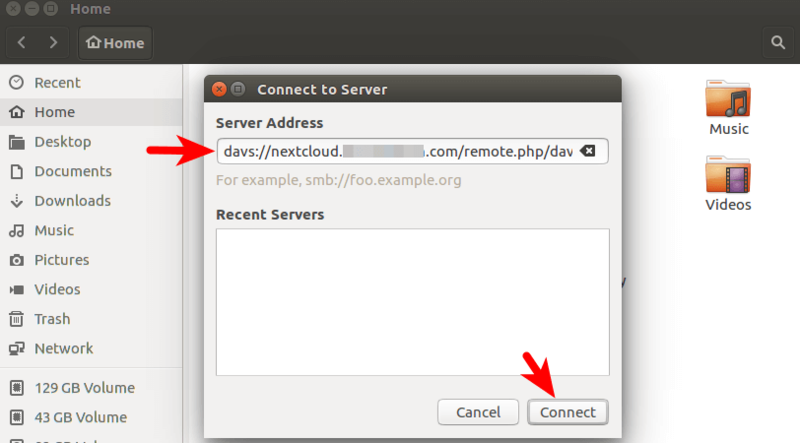 In the Server Address field enter the Nextcloud WebDAV URL. 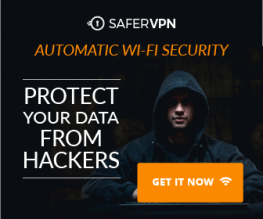 davs means DAV secure. Replace red text with your actual domain name and username. 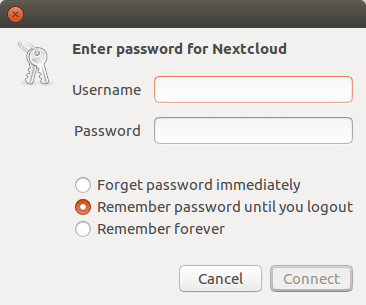 Next, enter your Nextcloud username and password. And click connect. Once it’s mounted, you will see a new entry for your Nextcloud on the left pane of Nautilus file manager. 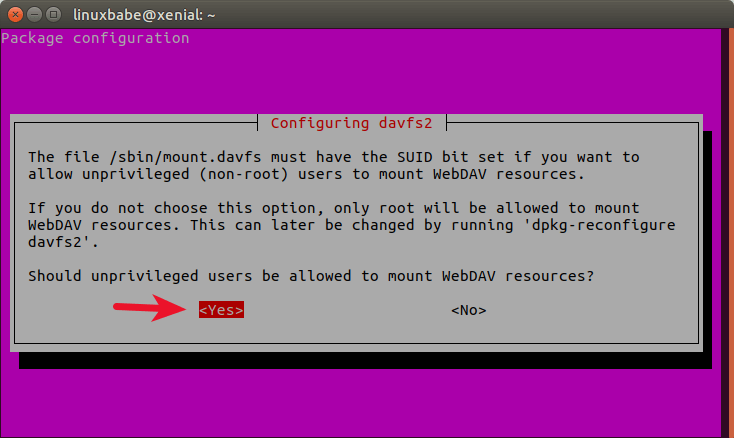 Install the davfs2 WebDAV file system driver. During the installation, you will be asked whether you want unprivileged users be allowed to mount WebDAV resources. Choose Yes. Next, add your user account to the davfs2 group. Then go to your home directory and create two directories, one to mount the Nextcloud WebDAV share, and the other to hold the WebDAV configuration. This secrets file must be readable and writable by the owner only (mode 0600). So issue the following command to make yourself as the owner. And set 0600 as the permission mode. Then open the secrets file. A wrong WebDAV URL will result in 500 Internal Server Error. If the mount failed, you can check out Nextcloud logs by going to your Nextcloud admin page and clicking the logging tab. You might see the following notice when mounting Nextcloud share. This tells us that Nextcloud server does not support file locking so that you want to make sure a file is not being edited from two different places at the same time, or your editing will be lost. If you don’t want to see this warning, add the following line at the end of /etc/davfs2/davfs2.conf file. I hope this tutorial helped you mount Nextcloud share on your Ubuntu desktop. As always, if you found this post useful, then subscribe to our free newsletter. You can also follow us on Google+, Twitter or like our Facebook page. Hi Thanks for the great tutorial, I have one question when I mount the drive it asked for my username and password. Is this correct as I added them to the secrets file. If I type the details then it mounts the drives successfully. Where have I gone wrong? Make sure there is no typo. You won’t be asked to enter username and password if everything is correct.